This exhibition displays 60+ selected works from members of Twin Cities Photography Club. The last date for the exhibition is 11th July (Friday.) If you haven’t already, please visit the exhibition and enjoy the pictures. Furthermore, if you are interested in photography, please join Twin Cities Photography Club at the link mentioned above and attend the regular meetups. The meetups are on specific topics and is a great opportunity to learn from and exchange ideas with other members. A calm and pleasant moment at our SA Palm Meadows. And for those who want a bit of details, this photo is shot close to midnight, with a 50mm prime lens at 1.8f and 1/25 shutter speed. Today’s TCPC meetup on Introduction to Gigapan Photography is an unusual and unique one – none of us are required to take our cameras out. However, as a practice, we did take our cameras out :-). Gigapan is pioneer of gigapixel panoramic views: it makes devices, software and infrastructure for creating, sharing and viewing very large high resolution images. D. Ravinder Reddy, a prominent photo journalist and author, has been quite active on Gigapan Photography. His Gigapan profile is here. Ravinder Reddy, with some of his close associates, ran this session on Gigapan photography today. Attended this live and interactive session on the technology and techniques of panoramic photography. The session is very interactive and Q&A structured than a typical classroom course. Ravinder discussed critical factors like zoom, aperture, composition, light and accessories during this session. 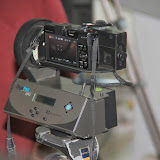 His Gigapan equipment is demonstrated and attendees got a good feel of what it takes to create a good panoramic photography (and Gigapan in particular.) Here are a few pics from the session today. At the end of the session, we also got a chance to peek into his works and Ravi Frames, his custom frame and collage making venture. 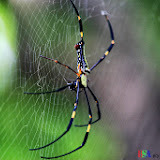 Twin Cities Photography Club (TCPC) conducted a meetup on Introductory Wildlife Photography on 24th August. The meetup is attended by about 20 members. I enrolled into the meetup closer to the end of the RSVP process. The day was sunny and bright enough for shooting in the wild. We headed to Narsapur forest, about 40km from the city. The training part of the meetup included key aspects of wildlife photography including preparation (food, attire), precautions and simple techniques. The importance of patience is very well evidenced during the exercises where we attempted to shoot pictures of butterflies. I shot most of my pictures with my Canon T2i using my 55mm-250mm kit lens. For the first few pics, I used my 18mm-135mm lens. 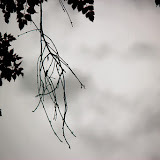 I focused a bit on framing of the picture and shutter speed. However, the biggest takeaways for me (from the meetup) are more practicing of manual focus and attempting exposure compensation during lowlight conditions. We headed back for a late lunch. My carpool included a team of passionate individuals and we discussed a good range of photography topics during our travel. It is a well organized meetup from TCPC. The organizers did a very good job. This year, I am in Bay Area during US Independence Day and it is fireworks time. 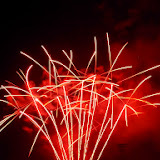 RK, Chaitanya and myself headed out to the Santa Clara City Community Center’s fire works show on Independence Day. The weather is warm and nice. We got decent parking at El Camino and Kiely. About half-a-mile’s walk from there is not bad at all. The crowd is huge for the fireworks. The music band at the community center did a very good job in entertaining the huge crowd till that hour. I don’t have a DSLR with me today, but have a point-and-shoot (Nikon Coolpix L-810) with me. Probably that worked to my advantage. Here are the pictures shot from the day. Twin Cities Photography Club (TCPC) organized an event today called Heritage Walk – Looking back at History. This is the second edition of the event that got great response for participation. Today, about 30 members of the TCPC grouped together at Charminar. After the registration formalities, we headed out for a nice guided tour that covered various heritage places around Charminar, Laad Bazar and Chowmahalla Palace. The event is well organized, thanks to the persistent efforts from Randeep Kaur, our event host and TCPC member. The guided tour helped is know the places that we would have otherwise not visited at all. The tour ended with simple breakfast at Chowmahalla palace. We shot several pictures throughout the walk. We shared several tips and tricks during the course of the walk. Getting to know more members, as always, is the fun part of this event. Here are my first set of pictures from the walk. 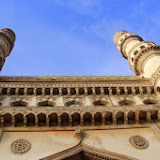 This set is shot within the vicinity of Charminar and includes a few views of Mecca Masjid and the Unani hospital too. Heavy rain in Hyderabad this evening. The rain for sure might have disturbed the peace of commuters heading back home on a Saturday evening. On the positive side though, it presented very nice and picturesque views around. Here is the evening in pictures. Summer made us to gulp lot of fluids of all sorts. This float is one of those. Its time to tempt with pictures of a chocolate box. Shot this Ghirardelli cable car box with two different focus points. In both cases, used 5.6 FNumber and 3/10ths of a second of shutter speed. The Focal Length is 72 on the lens and didn’t use flash. Used the light coming out of a wall mounted fluorescent tube. BTW, the surprising fact is that the box is not opened even after about two weeks.